The United States, South Korea, Japan—and every other state affected by the stability and security of Northeast Asia—has a strong incentive to find a way to end North Korea’s nuclear threat and its development and deployment of ICBMs. At the same time, no one can afford to forget that North Korea poses a much wider range of threats from its conventional forces and shorter-range missiles—particularly as it develops ballistic and cruise missiles with precision strike capabilities. U.S. diplomacy and strategy cannot afford to focus solely on nuclear weapons, particularly when North Korea has the option of developing biological weapons with the same lethality as nuclear weapons. The U.S. cannot afford to ignore the conventional threat that North Korea poses to South Korea—a threat that could inflict massive casualties on South Korean civilians as well as create a level of conventional war that could devastate the South Korean economy. North Korea is the most militarized country in the world relative to its small gross domestic product (GDP). Any such estimates of North Korea’s GDP are highly uncertain because North Korea does not report any meaningful statistics on its economy or military spending. However, the CIA estimates that North Korea has an extraordinarily small GDP for a state with such large military forces: some $40 billion in 2015 in purchasing power parity (PPP) terms, and $28 billion in 2013 in official exchange rate terms—by far the most relevant measure of economic strength in terms of the size of a modern economy. Its per capita income for a population of 25.2 million was only $1,700 in 2015. In contrast, the CIA estimates that South Korea had a GDP of $2,027 billion in 2017 in purchasing power parity (PPP) terms (over 50 times the most recent figure reported for North Korea), and $1,530 billion in official exchange rate terms (55 times that of North Korea). The CIA also estimates that South Korea has a GDP per capita of $39,400 in 2017, for a population of 51.2 million. This is twenty-three times the most recent figure the CIA reports for North Korea. There is no way to put North Korea’s military spending in perspective relative to the size of its economy or the level of spending in South Korea. There are no reliable estimates of North Korean military spending. The International Institute for Strategic Studies (IISS) and the Stockholm International Peace Research Institute (SIPRI)—the usual sources for comparable data—do not report any figures for North Korea. South Korea does report its military spending publicly, however, and the IISS reports a figure of $35.7 billion in 2017. This is only 2.3% of South Korea’s GDP, but its roughly equal to North Korea’s entire GDP in PPP terms by CIA estimates, and much larger than North Korea’s GDP using the more relevant official exchange rate metric. It is, however, possible to compare the size of North Korea’s military forces to those of South Korea using the data from the 2018 edition of the IISS Military Balance—widely considered to be the most reliable open source estimate. These comparisons are shown in Figure One below, and they raise critical questions about the various estimates of North Korea’s GDP and the need for credible estimates of the cost of its military efforts. Put simply, it is not clear how North Korea can generate forces so large with an economy the size of the CIA estimates. One possible answer, however, lies in the slow rate of modernization in North Korea’s forces. Aside from it ICBMs and MRBM, most of its missiles are based on Soviet designs that date back decades to the Cold War. Its tanks are all mixes of T-34/T-54/T-55/T-62/Type-59/Chonma/Pokpoongs—largely obsolete or obsolescent main battle tanks and obsolete PT-76 light tanks. Its other armored vehicles are large personnel carrier, rather than fighting vehicles, and while its artillery and artillery rocket are effective, its forces have limited numbers of self-propelled systems. North Korea does have significant asymmetric naval forces, special forces elements, and relatively modern submersibles. However, its surface navy is also aging, and highly dependent on the SS-N-2 anti-ship missile—a system that has been significantly upgraded over time, but was developed in the 1960s. Its larger Romeo submarines date back to the 1950s. North Korea’s bombers are obsolete IL-28 Beagles which first flew in 1948, and were withdrawn from Russian service in 1980. North Korea has no real advanced modern fighters and half of its combat strength consists of MiG-15s, MiG-17s, and MiG-19s. It relies heavily on aging MiG-23s and MiG-21bis aircraft, and its most advanced fighters are 18 export versions of the MiG-29. Its only “modern” attack aircraft consists of 34 Su-25s—an inferior and dated version of the U.S. A-10. Its surface-to-air missiles consist largely of 38 obsolescent S-200s SA-5s), 179 Cold War-era SA-2 and 133 Cold War-era SA-3s. The sheer mass of this force, its readiness, and the proximity of significant elements to the DMZ boundary of South Korea still make it extremely dangerous, as do the capabilities of its large asymmetric forces, but South Korea has far more modern land, naval, and air forces. At the same time, Figure One reveals three critical aspects of the strategic balance that are all too easy to ignore as long as the U.S. focuses on North Korea’s nuclear and ICBM forces. First, Figure One shows that South Korea and Japan are critical U.S. allies and strategic partners both in limiting China’s ability to dominate Asia and establishing a stable balance of security in the region. South Korea and Japan also are critical trading partners and play a critical role in meeting the needs of the U.S. domestic economy. No U.S. negotiation with North Korea can afford to ignore South Korea and Japan’s national security needs. Second, the U.S. must pay as much attention to the vulnerabilities of its strategic partners as to its own vulnerabilities. The U.S. cannot ask Japan to support it in defending South Korea or dealing with China and ignore this fact. Third, The U.S. cannot ignore the special vulnerabilities of South Korea’s civil population which are shaped by a high population concentrated in urban areas with only limited dispersal capability, a capital and key economic center near the DMZ and within artillery and rocket range of massive and sheltered North Korean fire capabilities, and a high dependence on the continuous functioning of its major ports and infrastructure. These vulnerabilities have been addressed in detailed testimony to Congress in a separate Burke Chair analysis entitled South Korea’s Civilian Vulnerabilities in War, which is available on the CSIS web site at https://www.csis.org/analysis/more-nuclear-threat-north-koreas-chemical-biological-and-conventional-weapons. Even if North Korea fully ends its nuclear weapons efforts, it has made significant progress in two areas which offer potential substitutes. One is biotechnology—creating the capability to deploy genetically engineered weapons with lethality potentially equal to those of nuclear weapons. These risks have also been addressed in detailed testimony to Congress in a separate Burke Chair analysis—entitled More Than a Nuclear Threat: North Korea’s Chemical, Biological and Conventional Weapons, which is available on the CSIS web site at https://www.csis.org/analysis/more-nuclear-threat-north-koreas-chemical-biological-and-conventional-weapons. This analysis describes significant North Korean progress in the ability to develop and deploy genetically engineered biological weapons. South Korea and the United States cannot ignore the possibility that North Korea could covertly substitute one type of weapon of mass destruction for another. As long as North Korea has such systems in development and deployment, South Korea (and Japan) will need theater missile and air defenses that can counter them. Missile defenses cannot be casually traded away for North Korean concession on nuclear weapons. Similarly, the progress that North Korea is making in developing and deploying its own ballistic and cruise missiles must continue. It must be clear to North Korea that South Korea can cripple its military forces and a far smaller and more vulnerable critical infrastructure if it should attempt such attacks, or try to use the possession of such systems as a threat to South Korea and a counter to its air superiority. 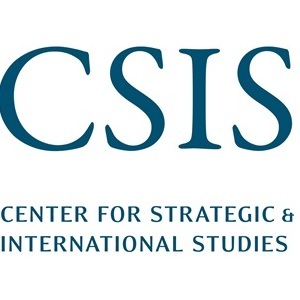 Anthony H. Cordesman is the Arleigh A. Burke Chair in Strategy at CSIS. During his time at CSIS, Cordesman has been director of the Gulf Net Assessment Project and the Gulf in Transition Study, as well as principal investigator of the CSIS Homeland Defense Project. This article was first published by the Centre for Strategic & International Studies on 19 March 2018. This article was republished with permission.